Handcrafted of enameled 12-gauge steel and bronzed stainless steel. 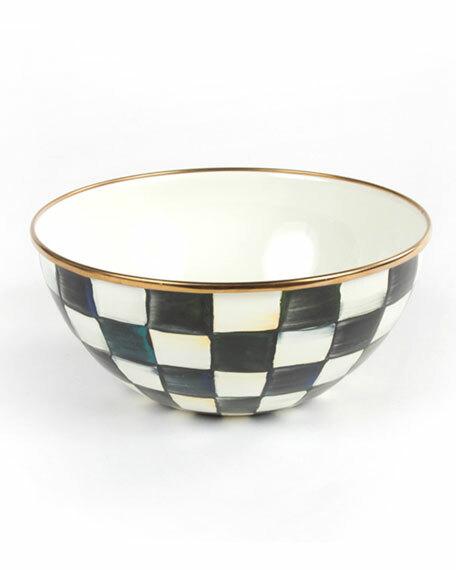 Hand painted in MacKenzie-Childs® signature Courtly Check® pattern. 7.75"Dia. x 3.5"T; holds 5 cups.